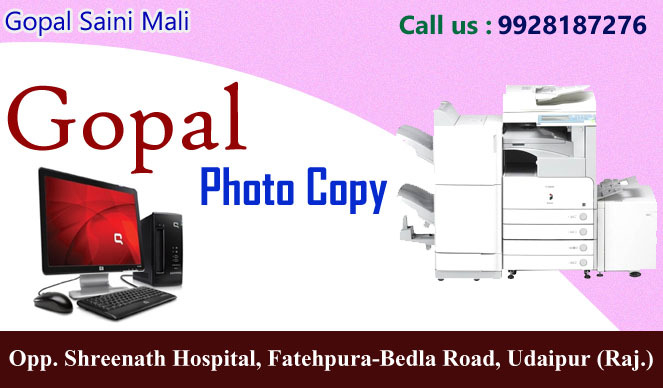 Looking for photo copy lamination, book spilling lamination work Gopal Photo copies is one stop solution for you . Our customer friendly service and instant fix for all your computer related problem is our core strength. Online form filling , railway reservation , internet surfing Gopal Photo copies is always there to help you . Our Machines are well maintained and we have enough space for people to accommodate in our place.